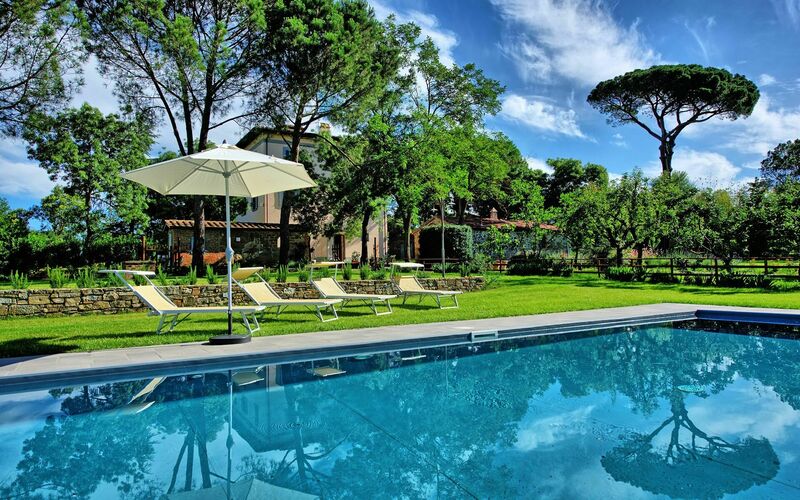 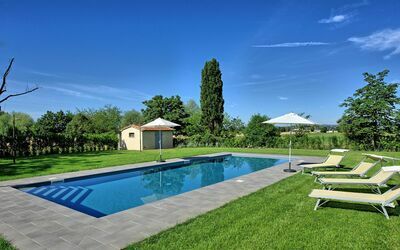 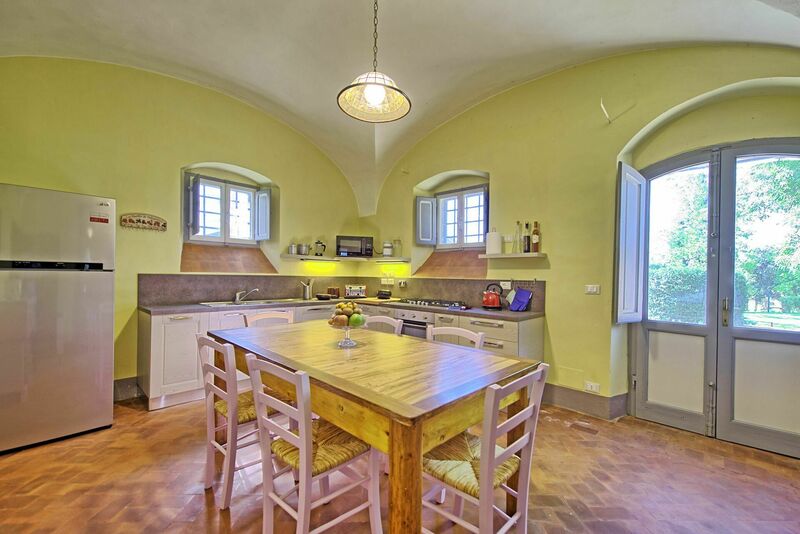 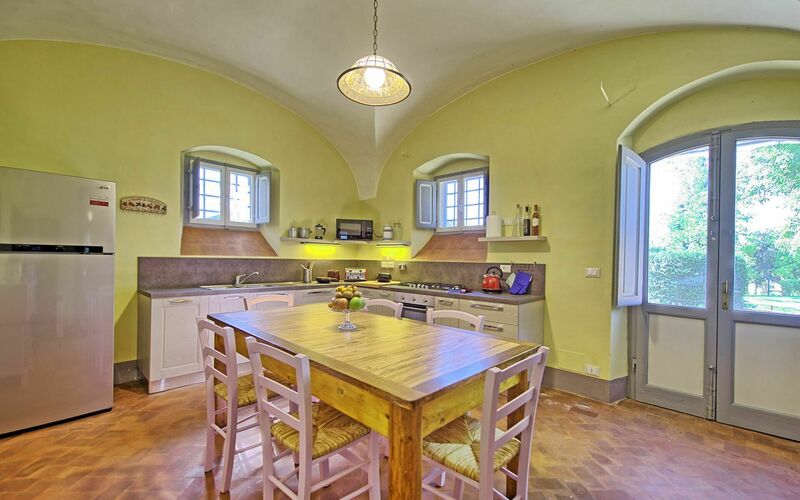 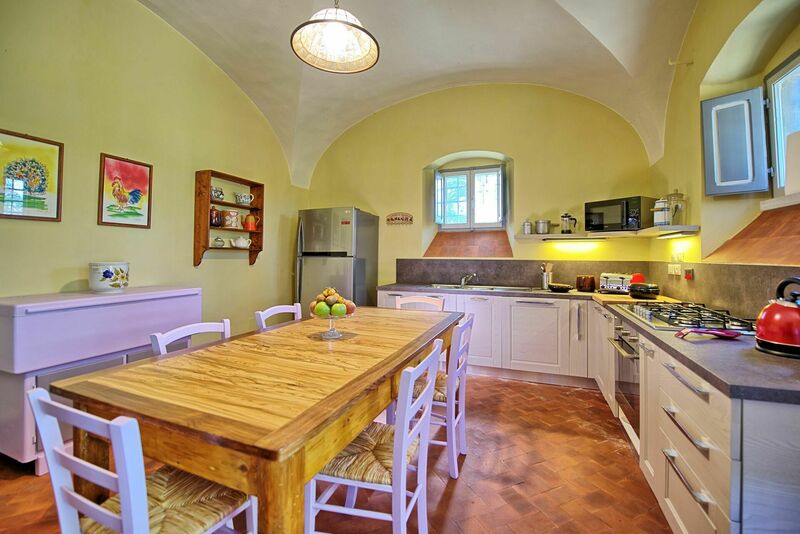 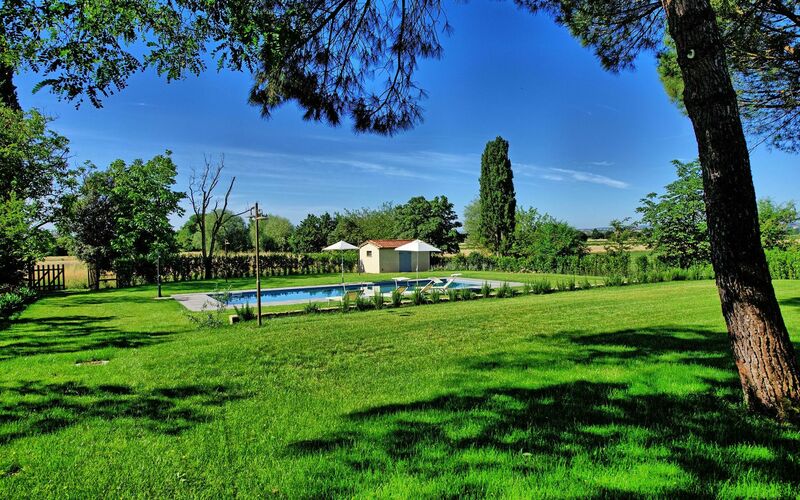 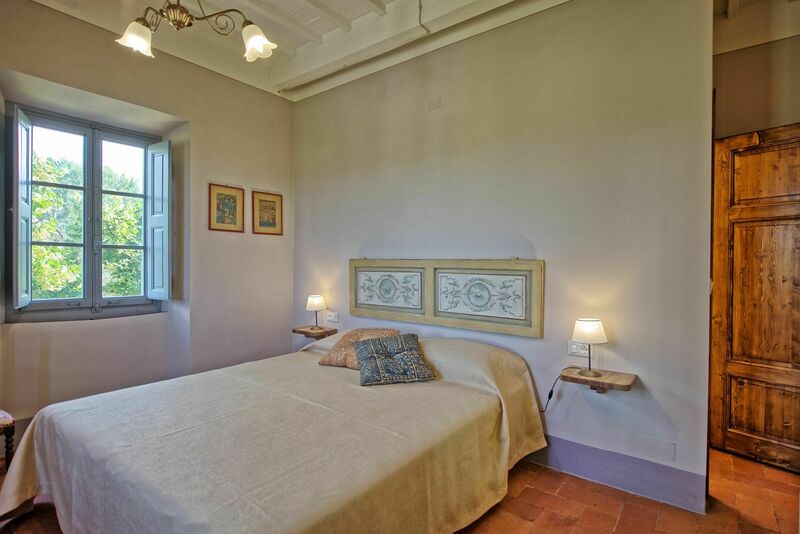 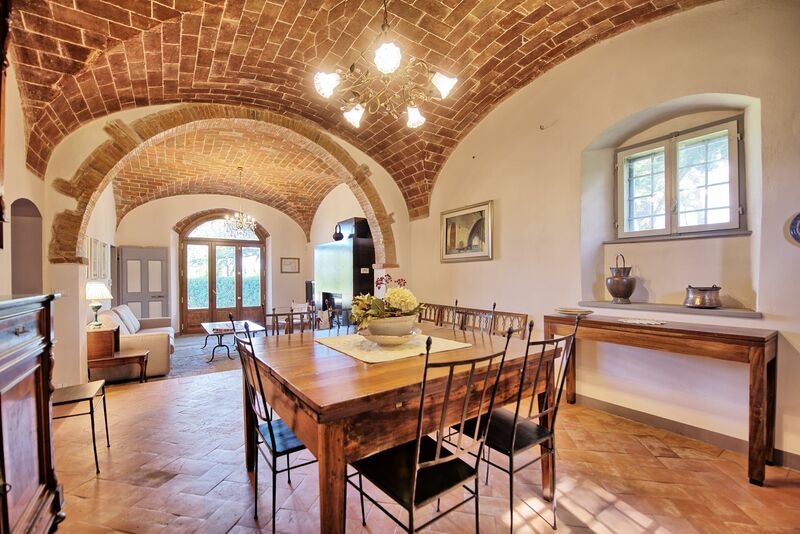 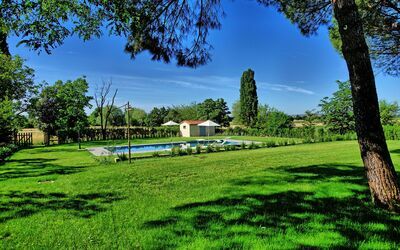 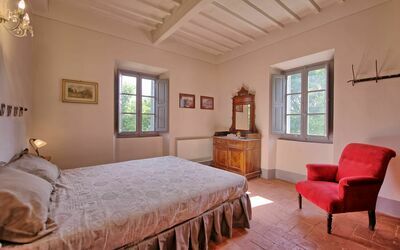 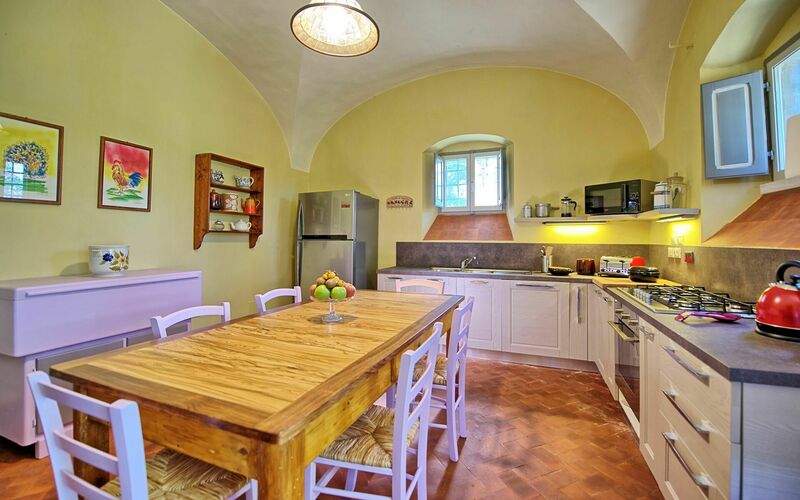 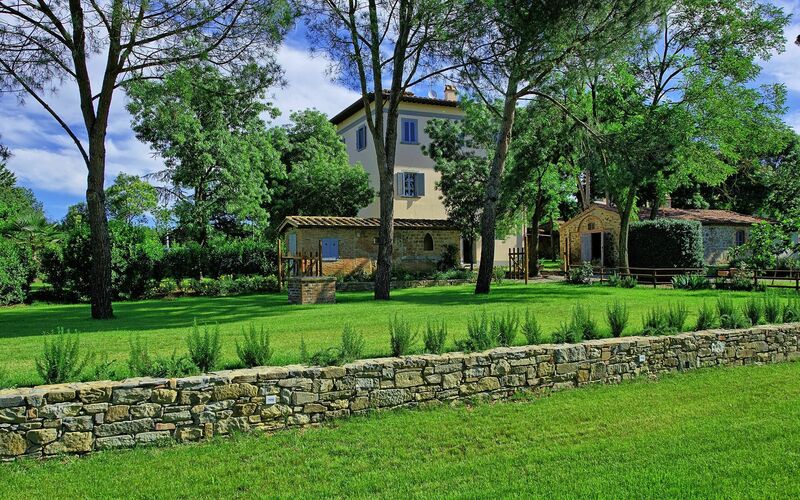 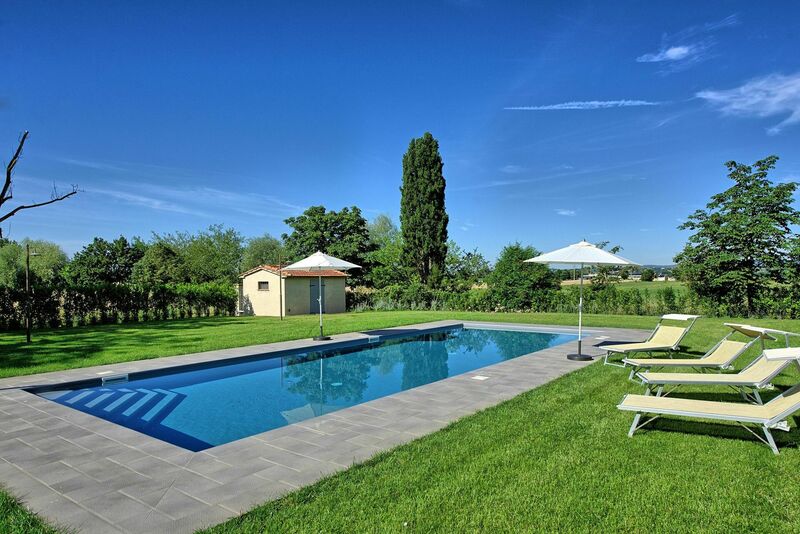 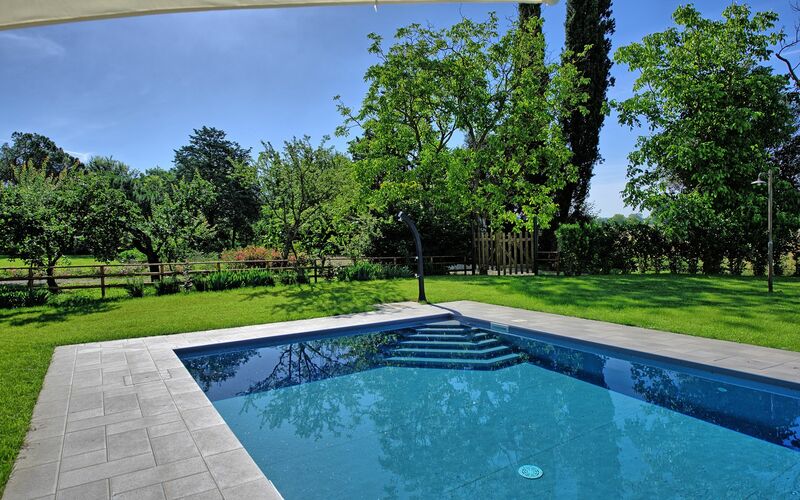 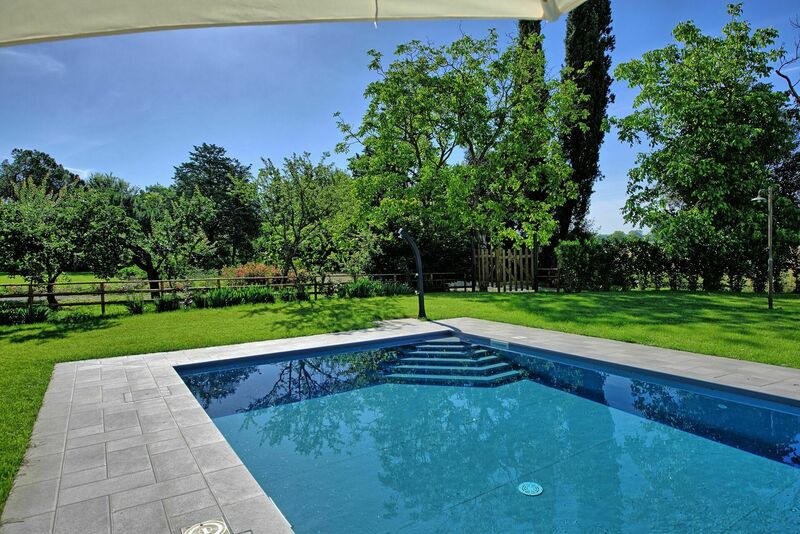 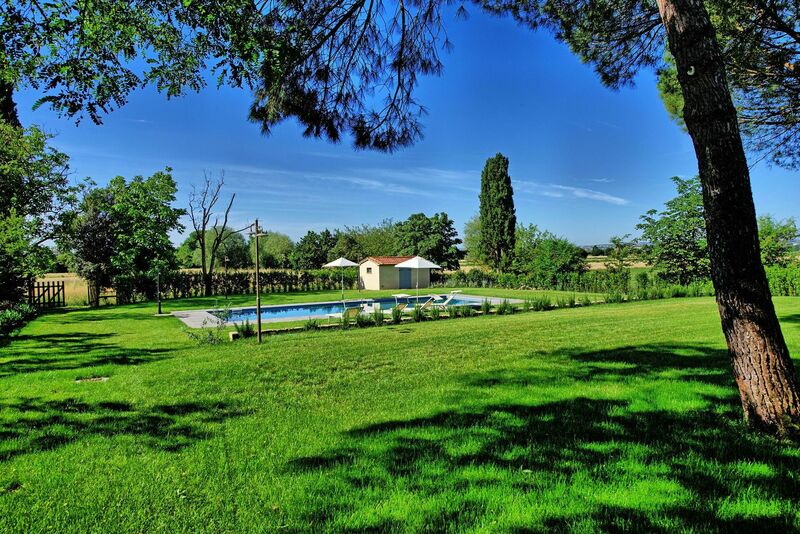 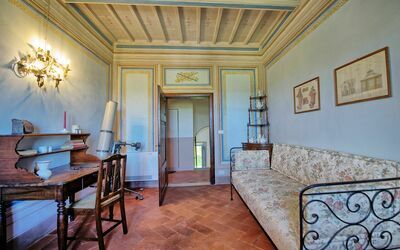 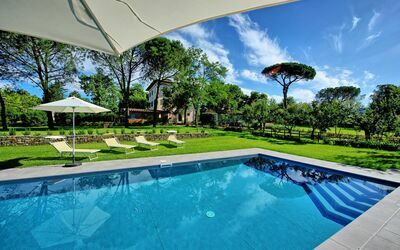 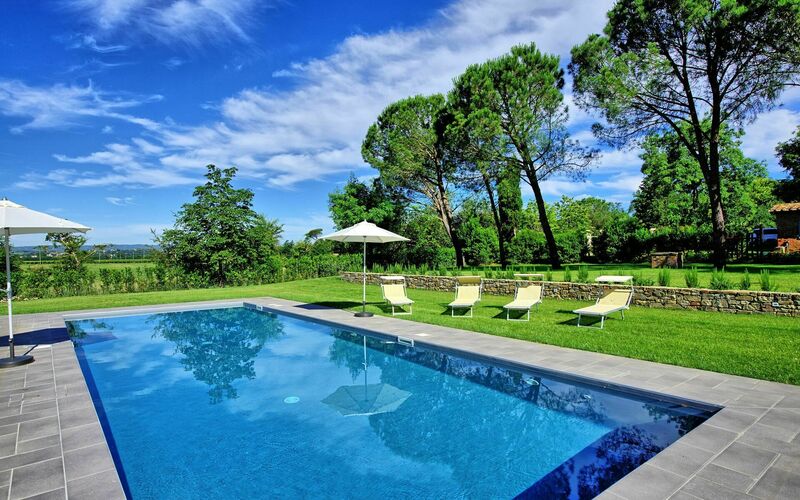 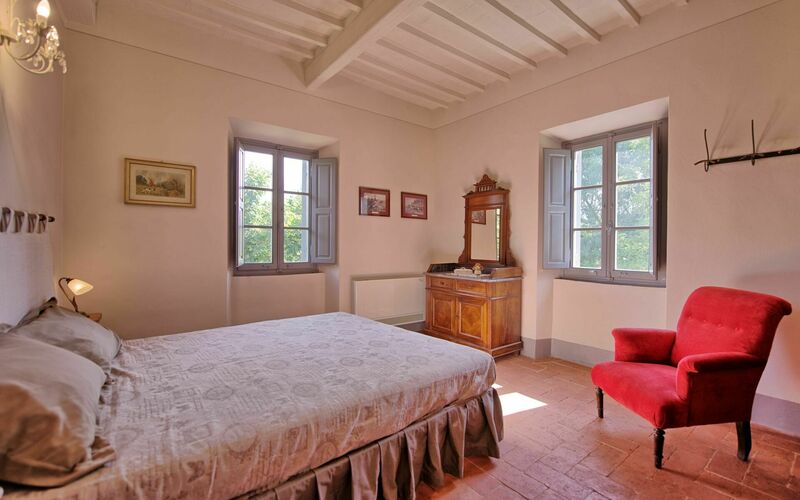 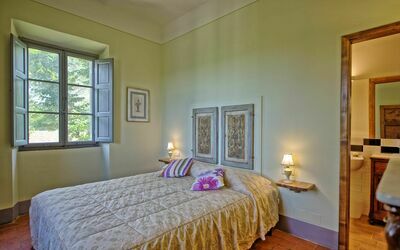 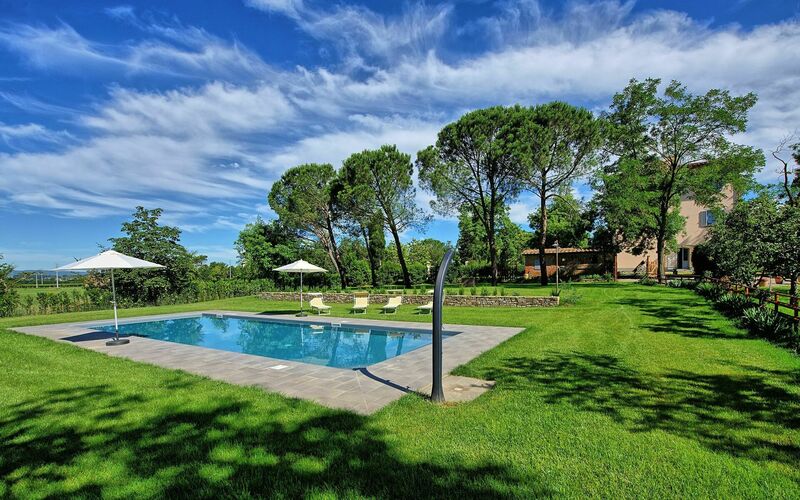 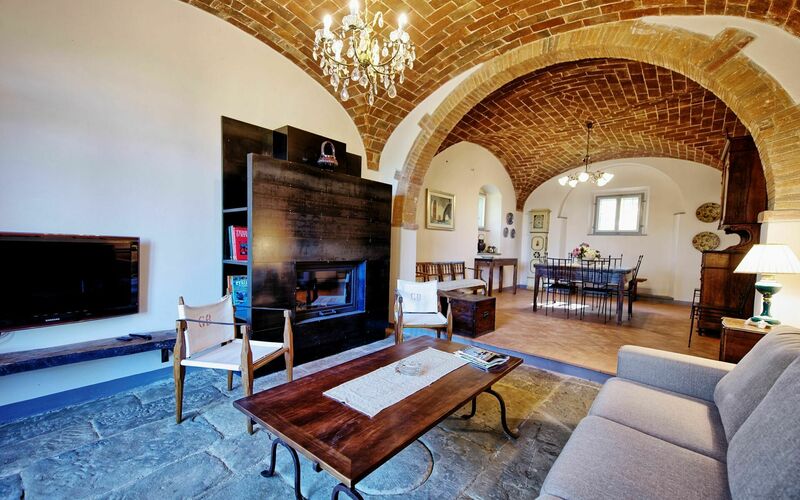 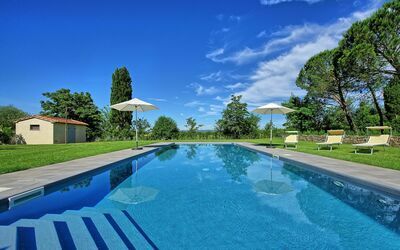 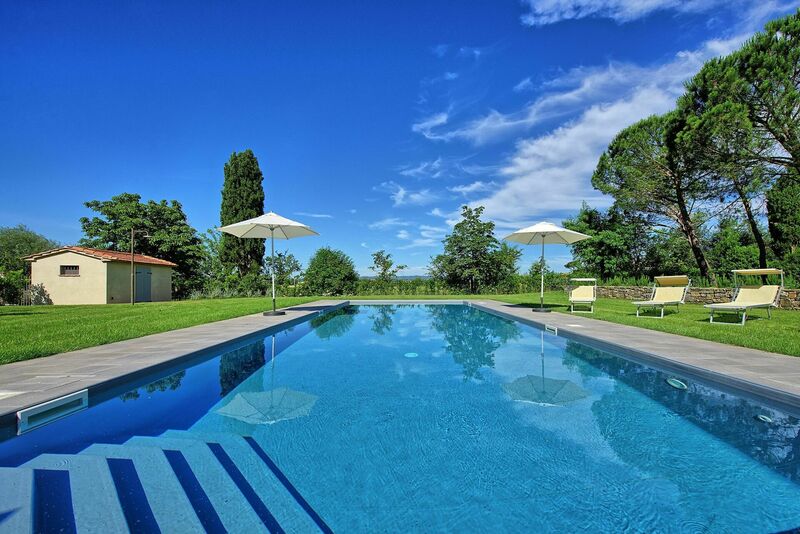 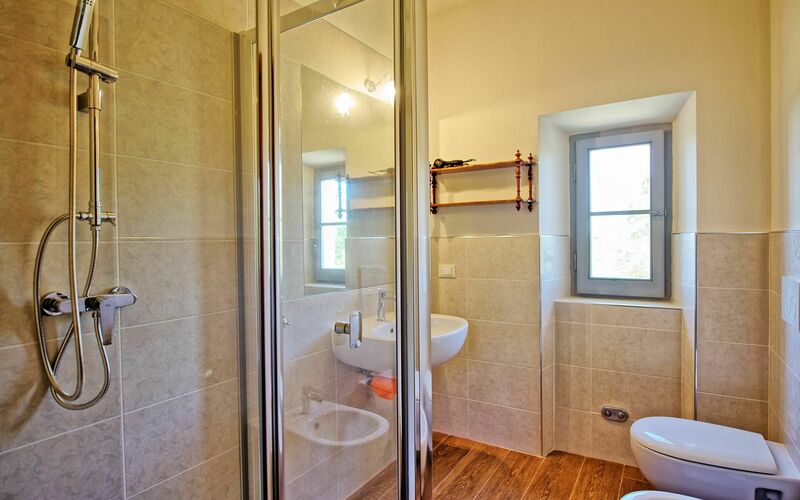 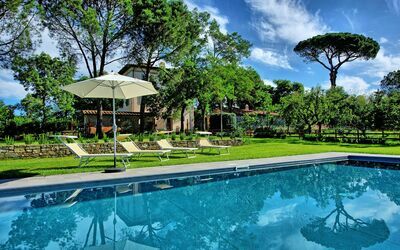 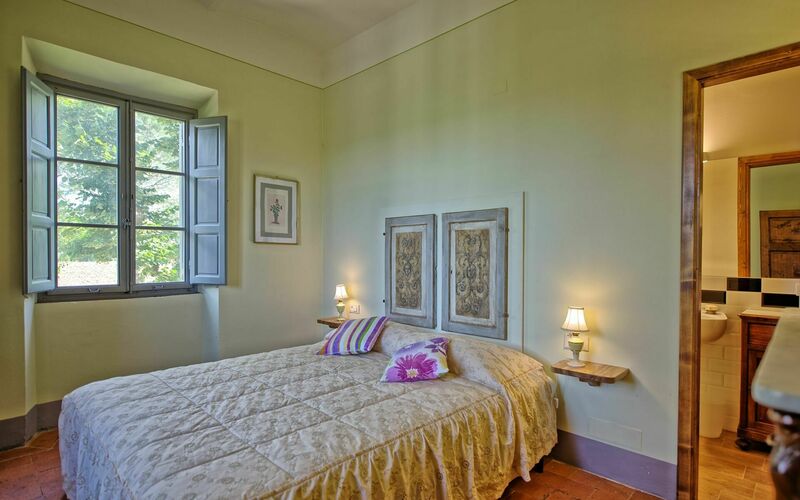 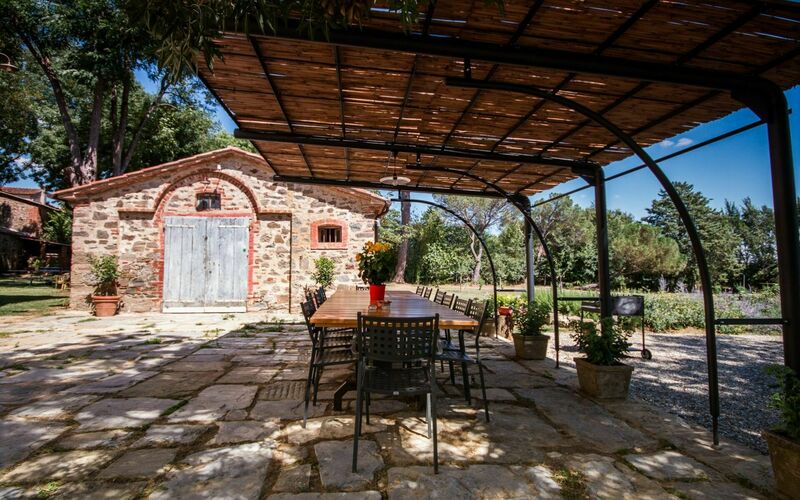 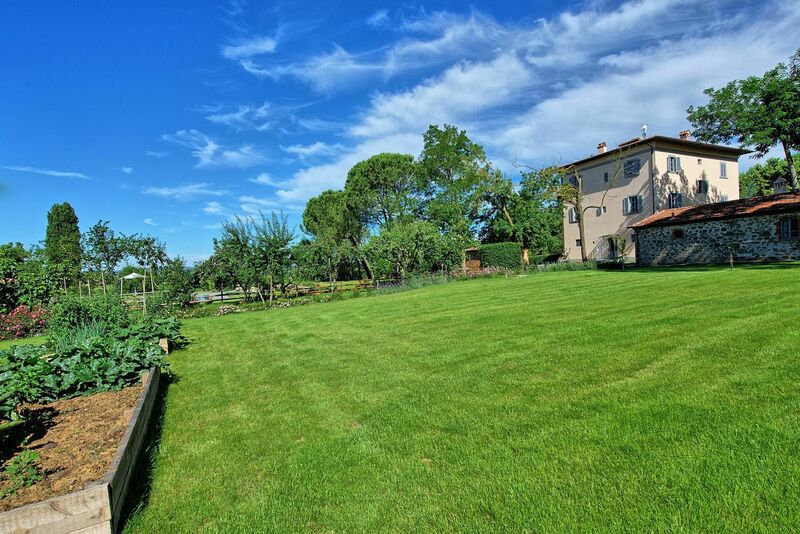 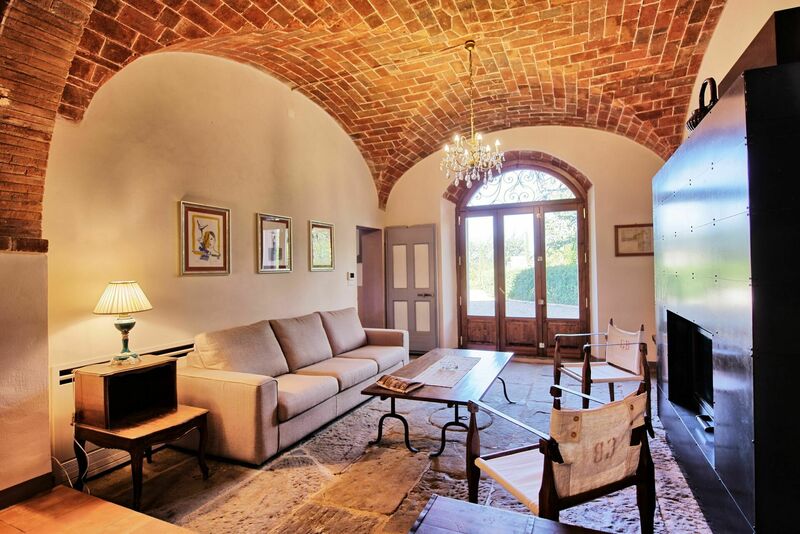 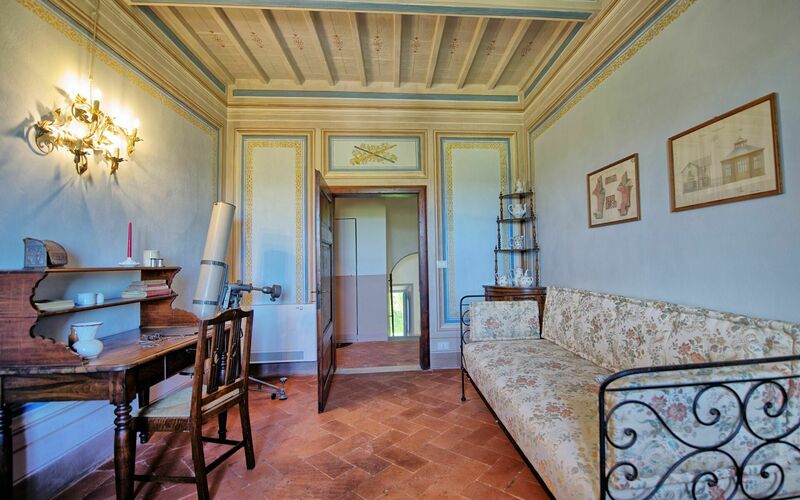 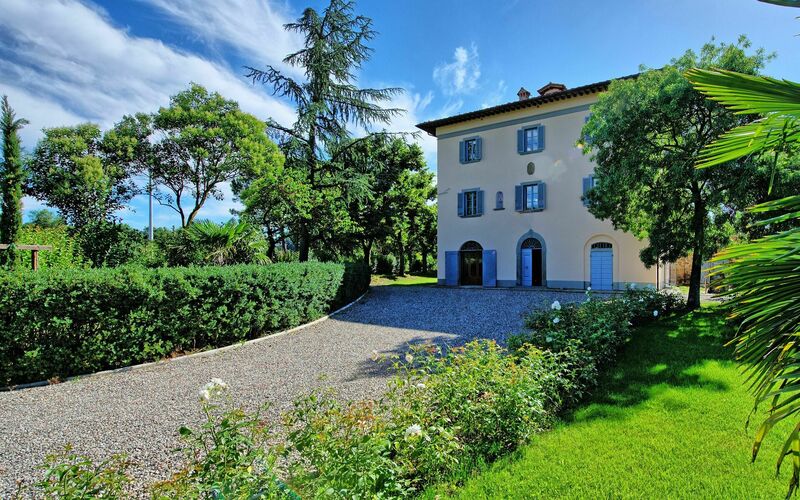 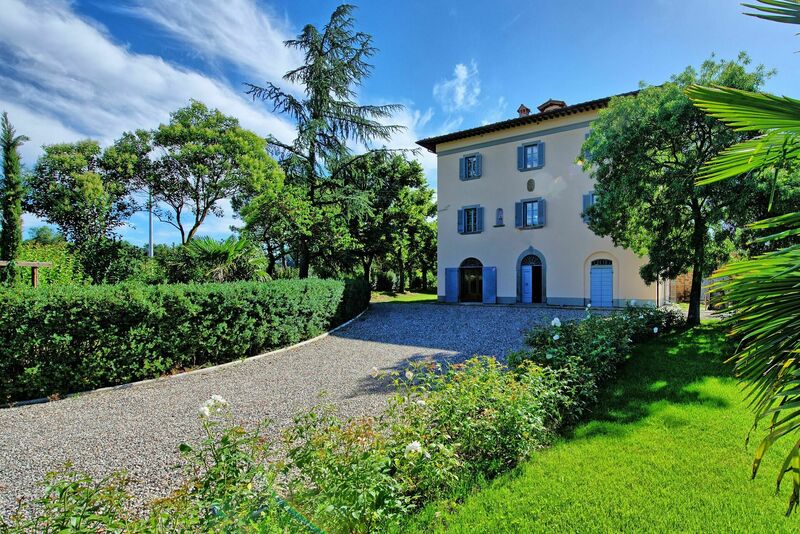 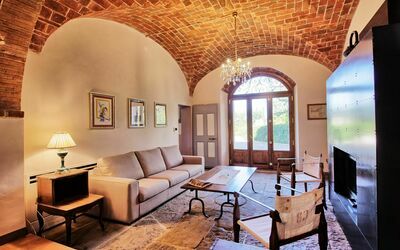 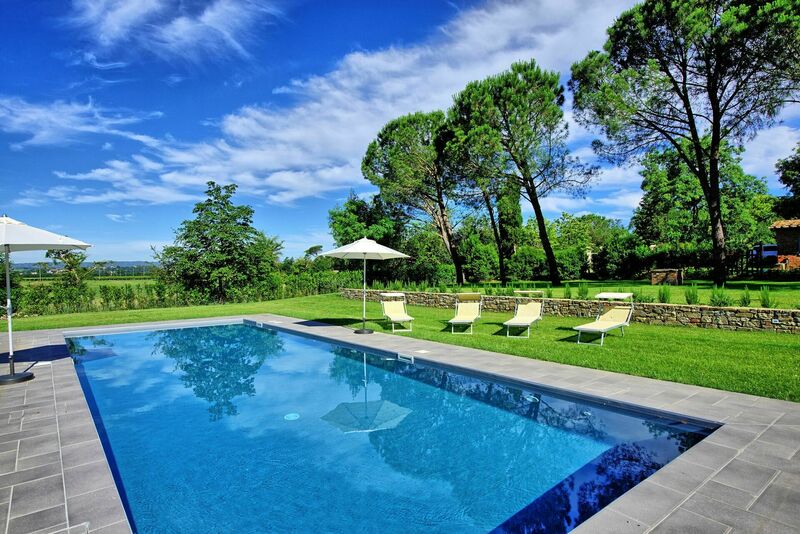 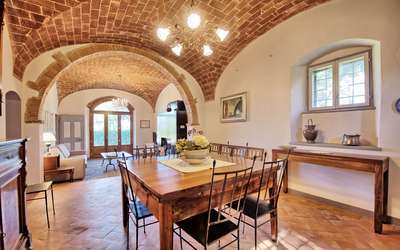 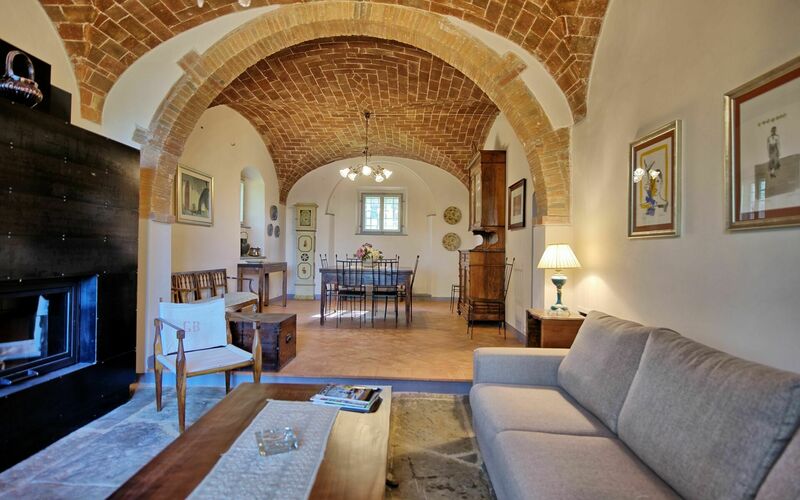 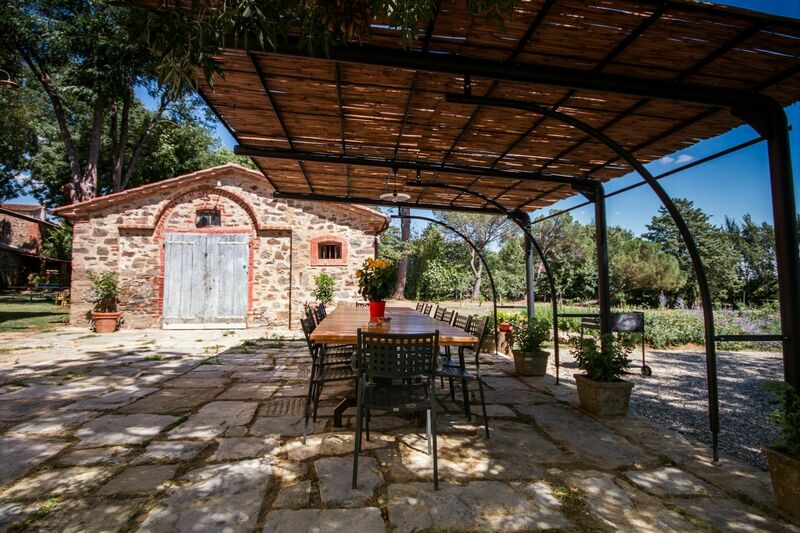 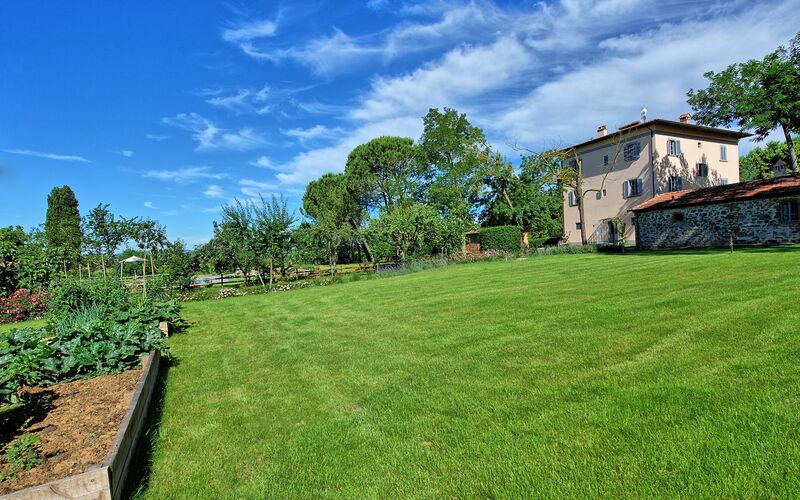 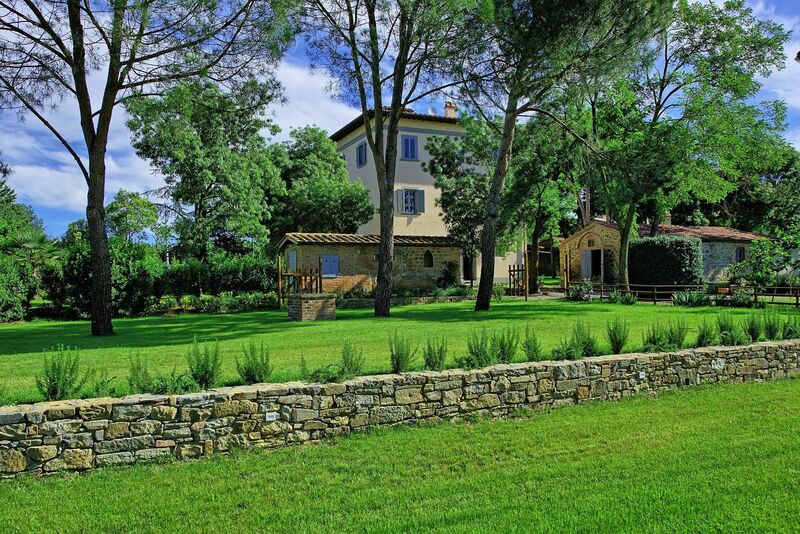 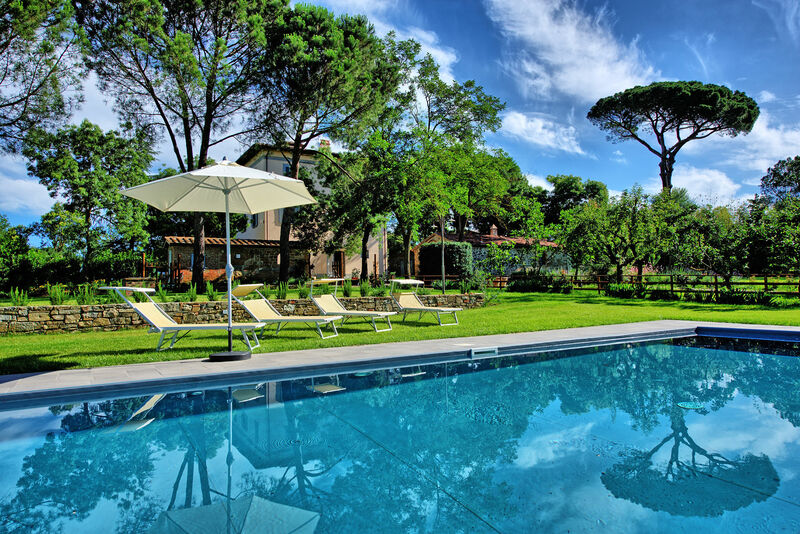 Charming villa with private swimming pool on the hills near Arezzo, Tuscany. 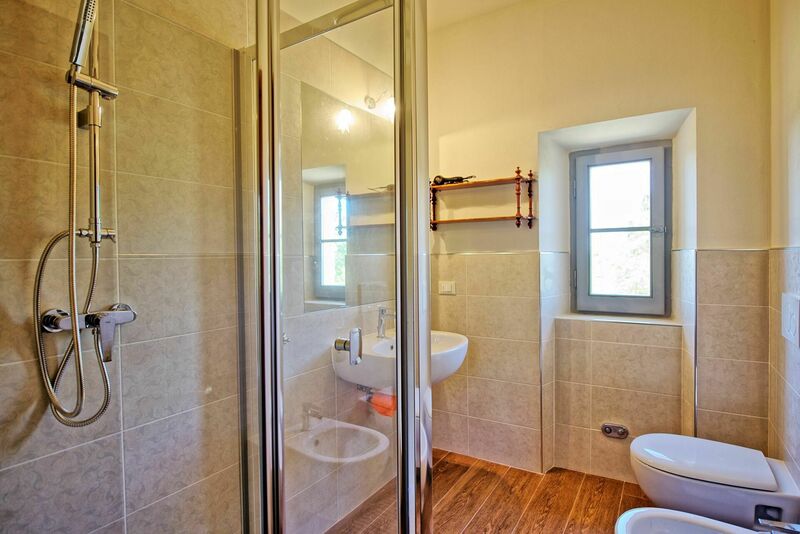 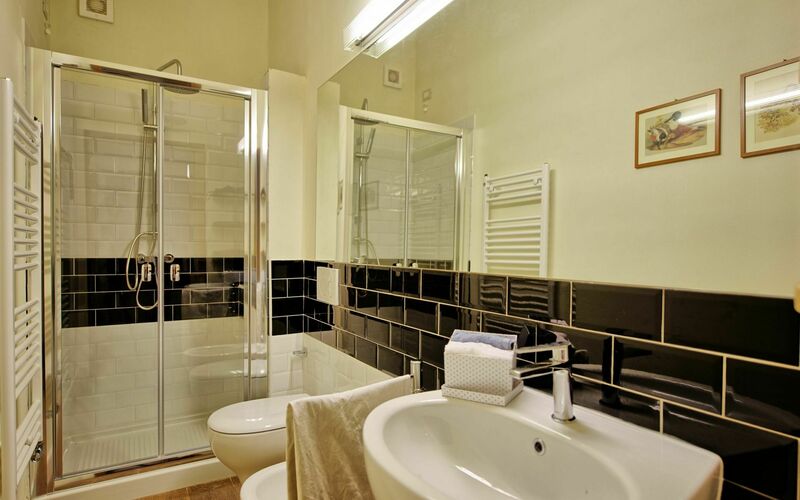 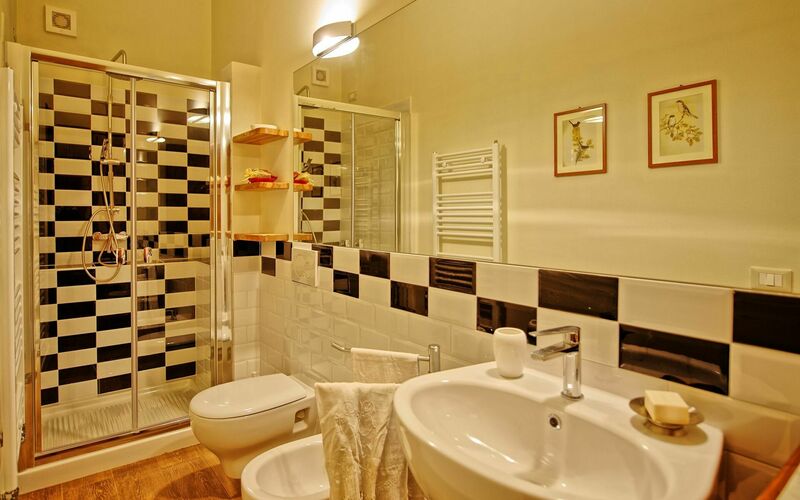 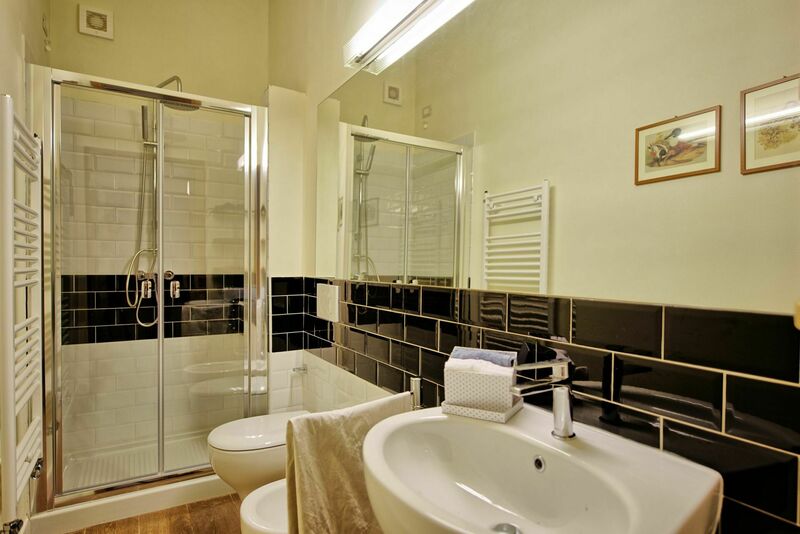 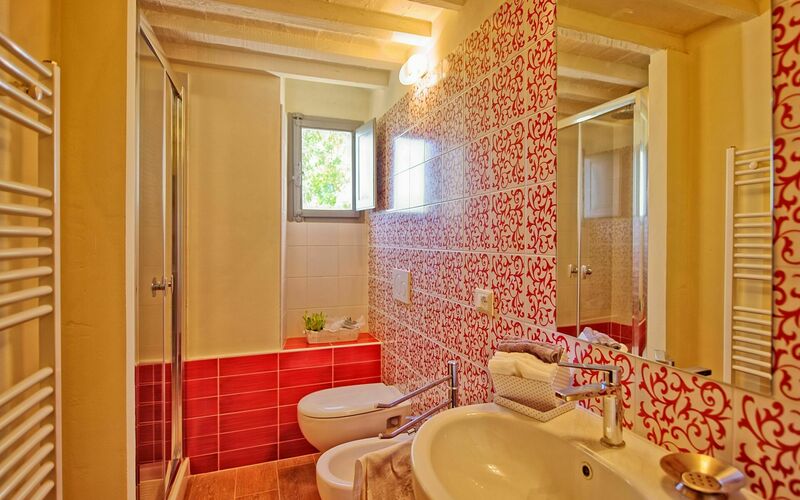 This property has been recently renovated. 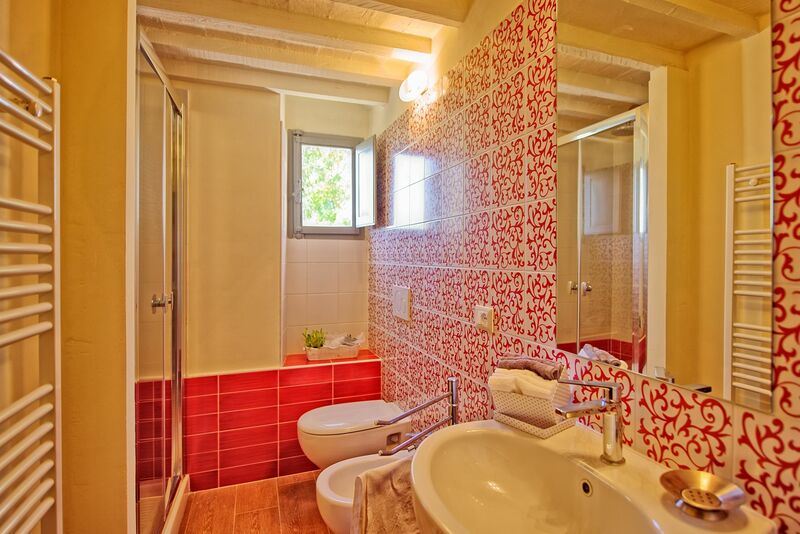 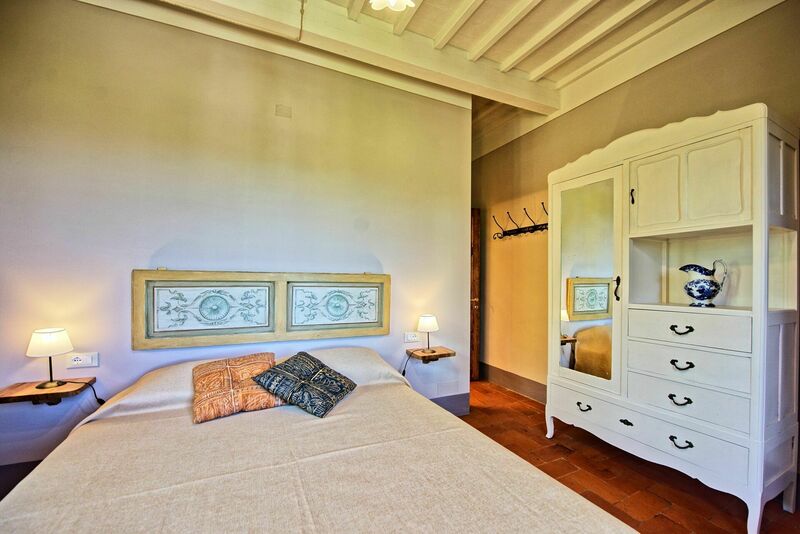 Inside, this villa has lovely interiors and it's fuelly equipped with any possible comfort. 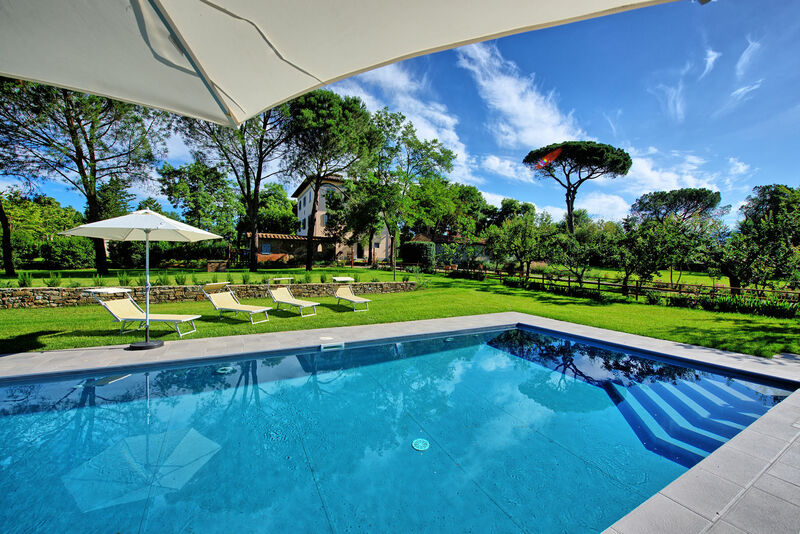 Outside, it is provided a large garden with private swimming pool and an outdoor patio furnishe with barbecue, table and chair for al-fresco dining. 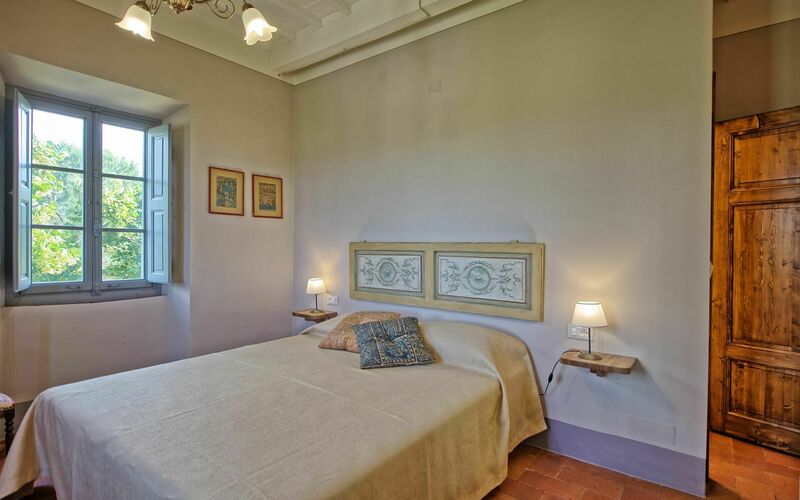 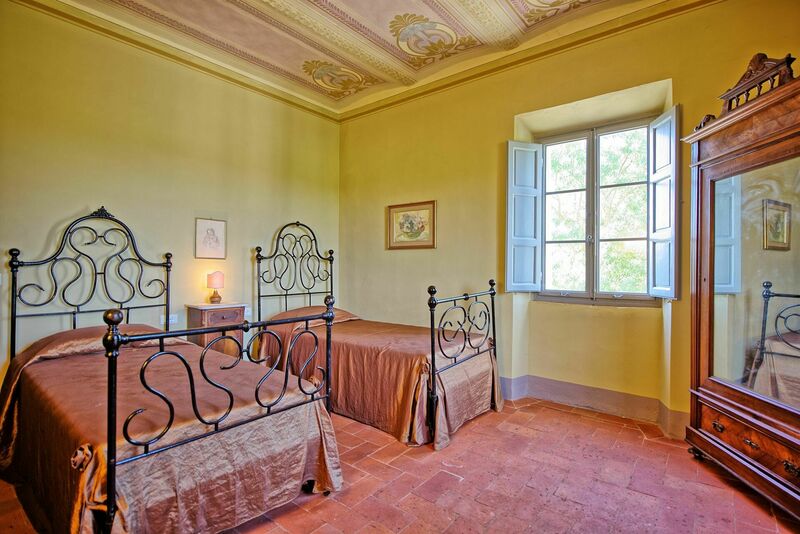 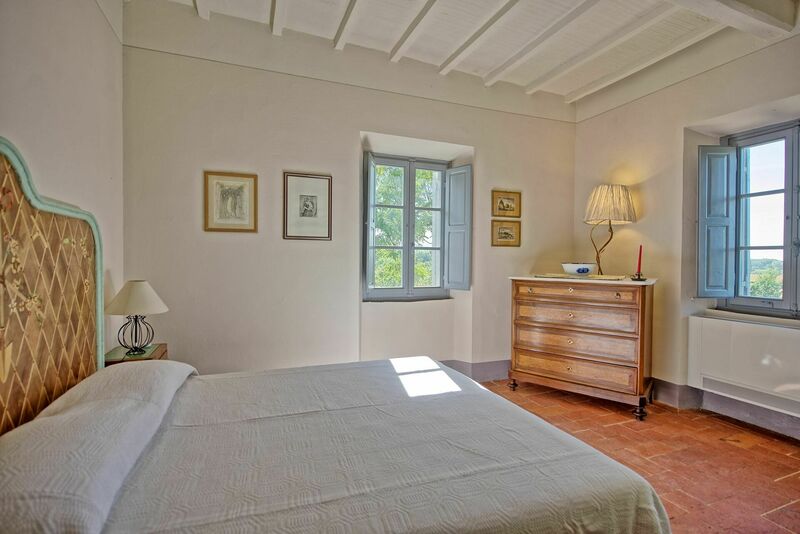 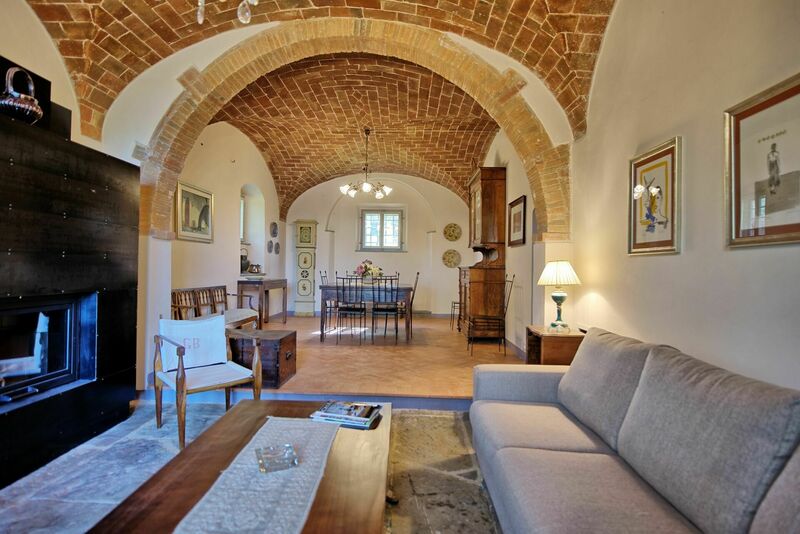 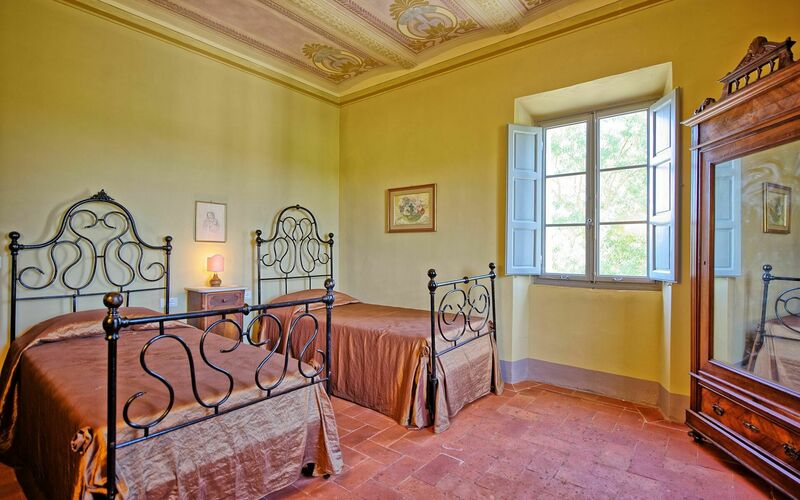 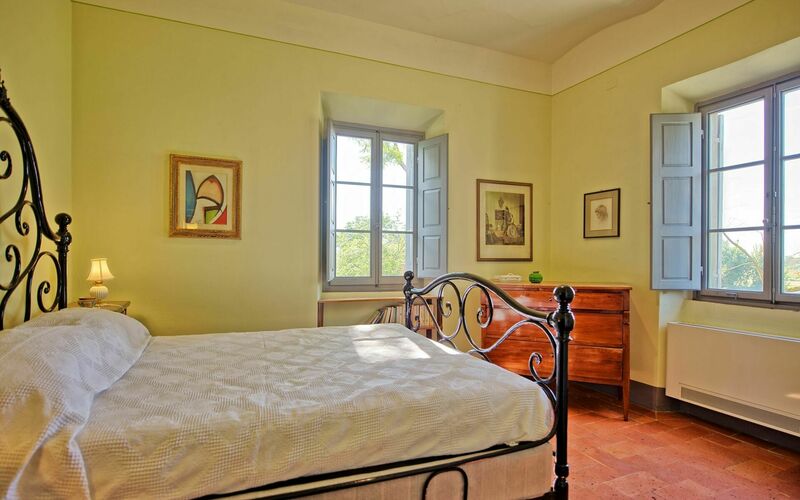 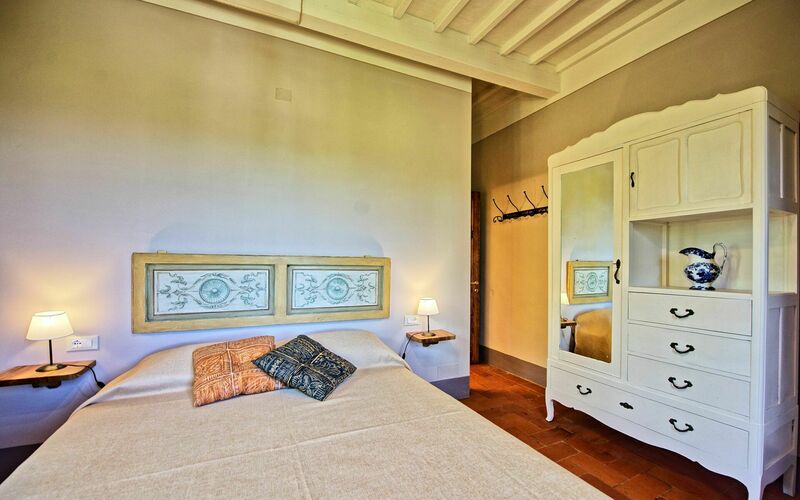 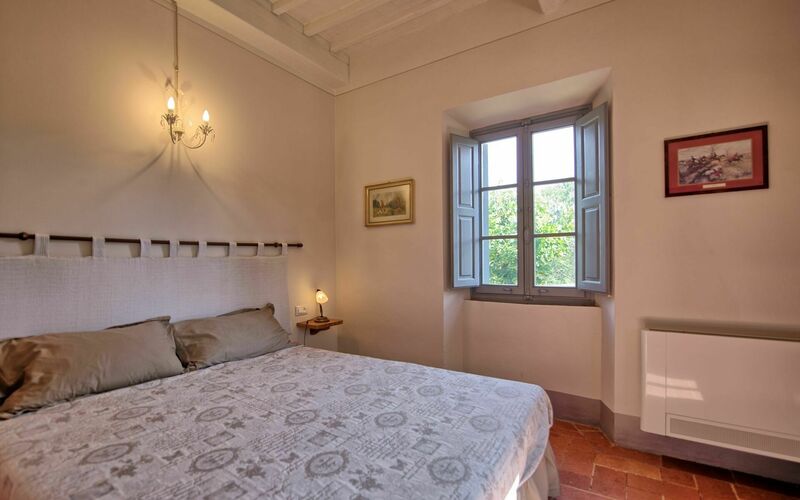 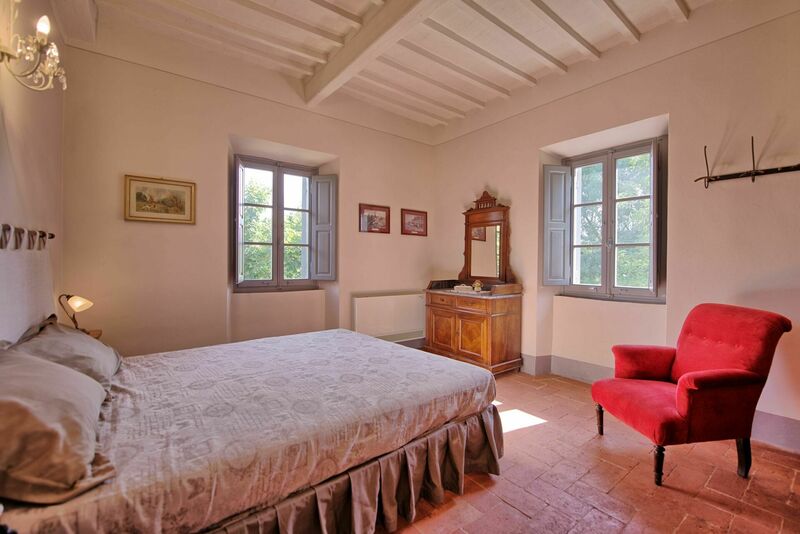 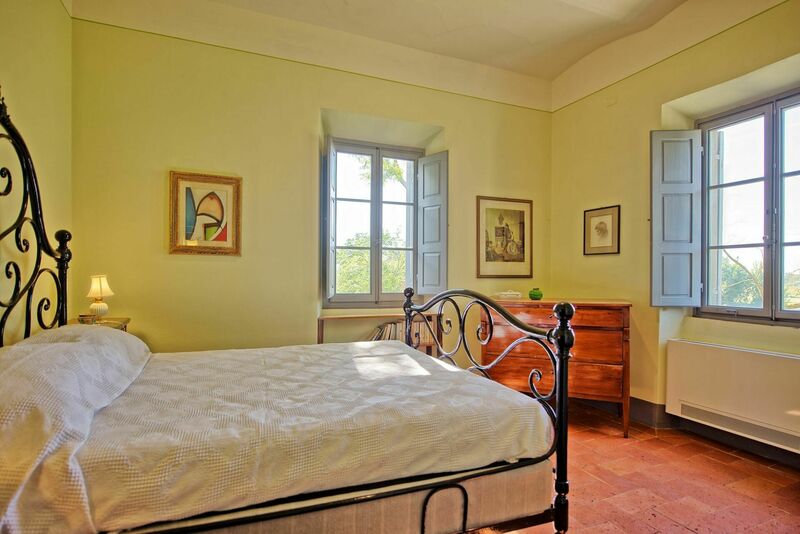 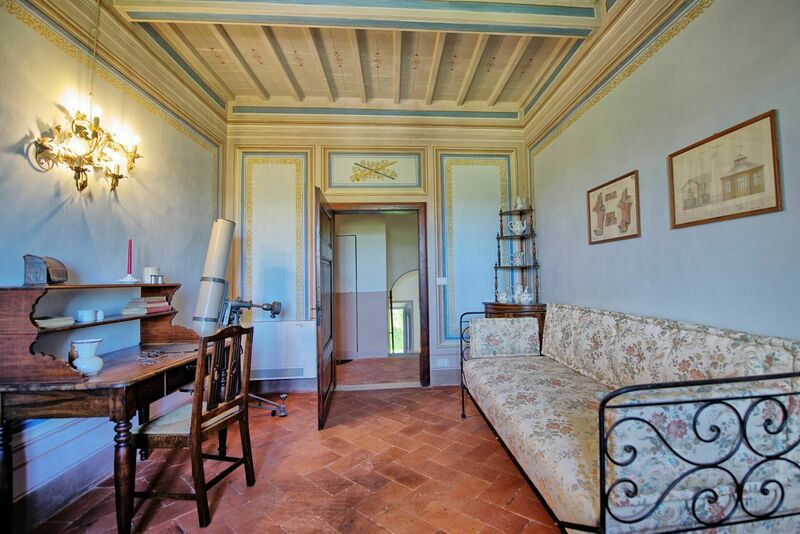 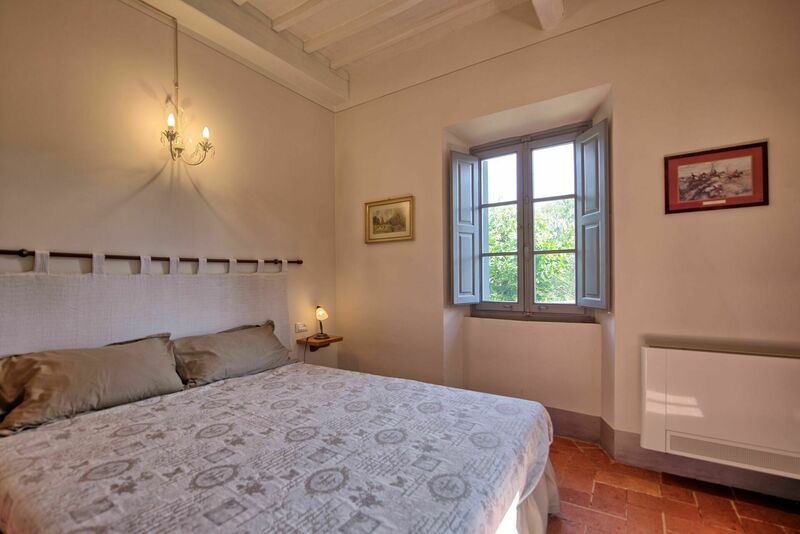 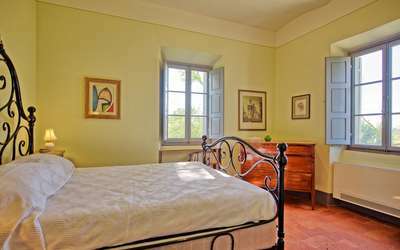 Villa Marietta is just a short drive away from Arezzo, Castiglion Fiorentino, Cortona and Chiana Valley. Distances: Rigutino (shops of any kind) 4 km away, Castiglion Fiorentino 10 km away, Arezzo 18 km away, Cortona 21 km away, Montepulciano 40 km away, Pienza 45 km away, Siena 60 km away, Firenze 85 km away, San Gimignano 100 km away, Volterra 115 km away. 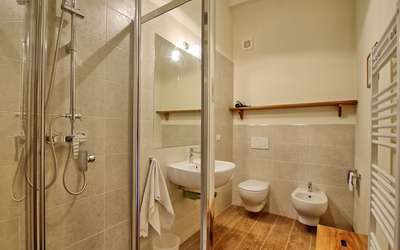 Ground floor: entrance hall, living room with fireplace and dining area, kitchen (oven, freezer, dishwasher, microwave, kettle, american coffee maker) with access to the outside, WC, laundry room with washing machine. 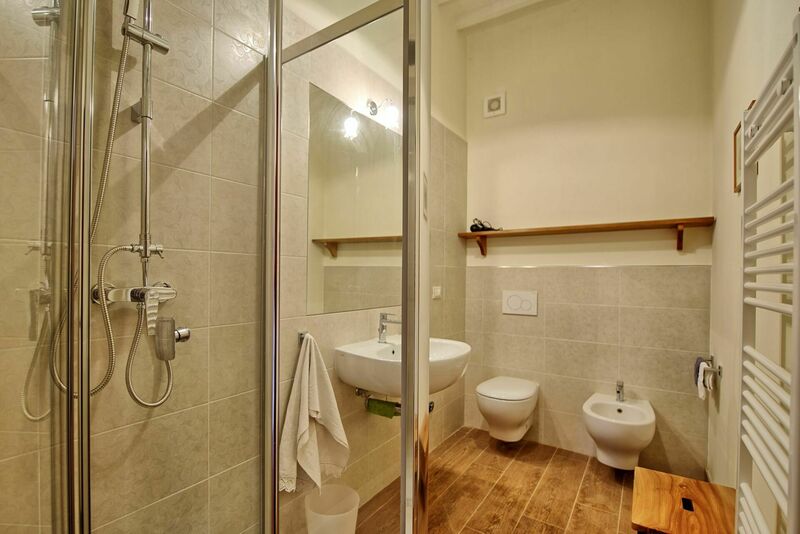 First floor: lounge with fireplace, double bedroom with en-suite bathroom with shower (no window), bedroom with 2 single beds, bathroom with shower, double bedroom. 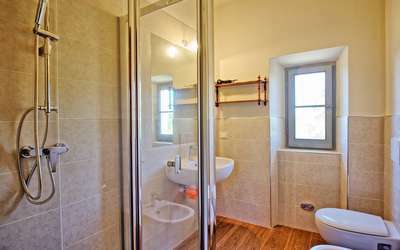 Second floor: double bedroom, bathroom with shower, bedroom with 2 single beds, double bedroom with en-suite bathroom with shower, double bedroom with en-suite bathroom with shower (no window).